CAIRO – 16 April 2019: Egypt and the United Nations (UN) discussed supporting a number of development projects and activating the framework strategic agreement between both entities till 2022, worth $1.2 billion. 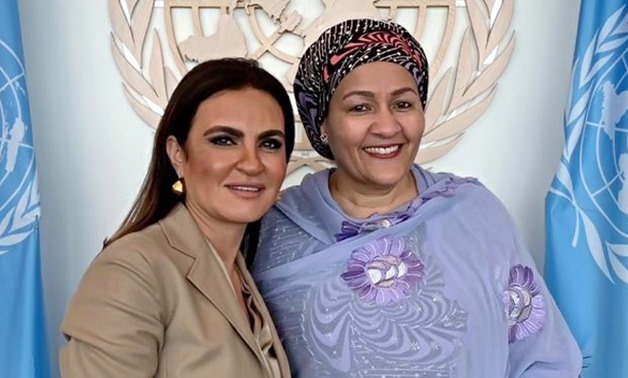 Sahar Nasr and UN Deputy Secretary General Amina Mohamedon the sidelines of the 2019 ECOSOC Forum on Financing for Development follow-up (FfD Forum) at the UN Headquarters in New York. 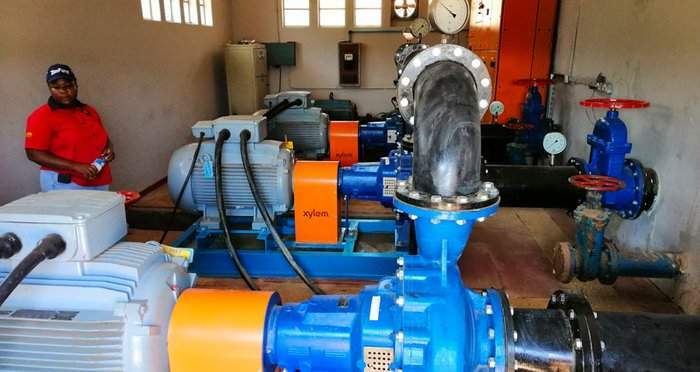 The discussed development projects included supporting development in Sinai and Upper Egypt, supporting and developing a water and sanitation systems, developing the education system, health, women’s empowerment and social responsibility, according to the Investment Ministry’s statement. The UN deputy secretary general praised Egypt’s economic reform program, stating that this program contributed to improving the economic performance which resulted in the positive indicators of the last period. Mohamed highlighted the pivotal role Egypt plays on the regional and international levels in light of its presidency of the African Union, which helps in discussing several cooperation opportunities between Egypt and the UN. These opportunities include supporting development projects in Egypt, the UN’s role in financing private sector projects to achieve development objectives and deepen the economic relations through joint investments and intra-trade. She clarified that the United Nations considers Egypt a pioneer in economic reforms, especially in the African continent, where Egypt comes first in the rate of increase of foreign direct investment. The meeting discussed the role of the United Nations and international institutions in financing projects, and the participation of the private sector in achieving development goals. For her part, the minister emphasized the government’s interest in boosting the role of the private sector in a number of public development projects, shedding light on the major legislative reforms that are set to enhance the investment climate. Nasr stressed that the UN programs and framework should focus on the poorest and neediest areas in Egypt, referring to the importance of partnership with the United Nations, which comes at an important and strategic time. The minister also met with Administrator of the United Nations Development Program Achim Steiner, where it was agreed to support Egypt’s program during President Abdel Fatah al-Sisi’s presidency of the African Union. Also,strengthening and deepening the strategic partnership between the African Union and the United Nations Development Program, especially in the field of development in the African continent and the promotion of integration projects and regional integration, was agreed upon. The two sides also agreed to cooperate in the field of entrepreneurship, as the fund works to support development projects and encourage investments that contribute to the achievement of development goals in areas such as poverty reduction, job creation and renewable energy. Steiner stressed the keenness of UNDP to strengthen cooperation with Egypt to establish development in the African continent, to achieve economic integration and regional integration, and to advance the African common action. The minister asserted Egypt’s keenness to establish partnerships with various United Nations organizations to contribute to attracting investments to the African continent, stressing the importance of setting a priority to increase support for the private sector to participate in development, and stimulate the growth of emerging companies in the continent. 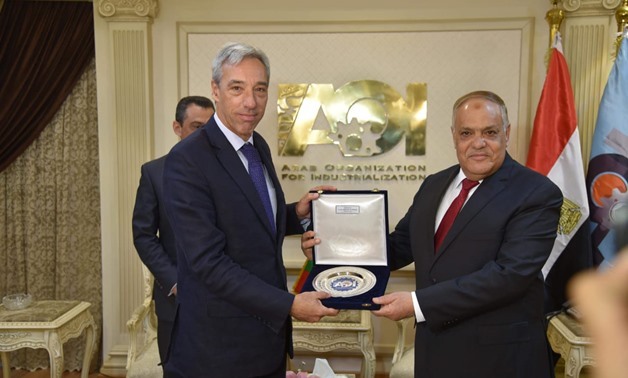 CAIRO – 16 April 2019: Chairman of the Arab Organization for Industrialization Abdel Monemel Taras held a meeting with Portuguese Minister of Defense Joaa Krauwenho to discuss investment opportunities and issues of mutual concern and exchange experiences. The meeting comes within the framework of efforts to boost mutual cooperation, especially in the field of defense industries, attracting foreign investments and sealing new deals between the two sides. Taras discussed with Krauwenho ways to localize technology,benefiting from the advanced industrial database of the Arab Organization for Industrialization, specifically in the field of aircraft maintenance, artificial intelligence, insurance and manufacture of communication and electronic devices. Taras affirmed Egypt’s willingness to boost cooperation and exchange experiences with “brotherly” Portugal,aiming to hold a joint committee to discuss fields of cooperation. “Egypt’ stability and chairmanship of the African Union urged Portugal to engage in more projects. Mutual cooperation will result in high quality products with competitive prices able to penetrate all markets in the region,” Taras said. For his part, the Portuguese minister of defense assured his keenness to coordinate and engage in trade with Egypt. Krauwenho lauded Egypt’s accomplishments and peerless efforts made over the last 5 years to achieve economic reform and grasp foreign investors. The Portuguese ambassador to Cairo and the chairman of the Holding Company of Portuguese Defense Industries praised the Arab Organization for Industrialization for using its surplus in manufacturing new products and taking part in implementing national and development projects. As the South Sudanese people and the world remain in awe of the inspiring feet kissing and blessing of the nation’s leaders by Pope Francis, Sahara Energy Resources DMCC, Dubai, has extended a $600 million facility to help boost resurgent hope for peace in the world’s youngest democracy. Pope Francis recently kissed the feet of President Salva Kiir Mayardit and Vice Presidents-designate Riek Machar and Rebecca Nyandeng de Mabior during a “spiritual retreat” at the Vatican, urging them to “remain in peace”. Steeped in a consciousness that spurs reciprocal forgiveness, the Pope’s widely commended gesture and ongoing support from various governments and corporate entities like Sahara Energy signpost a prospective march toward peace in South Sudan. 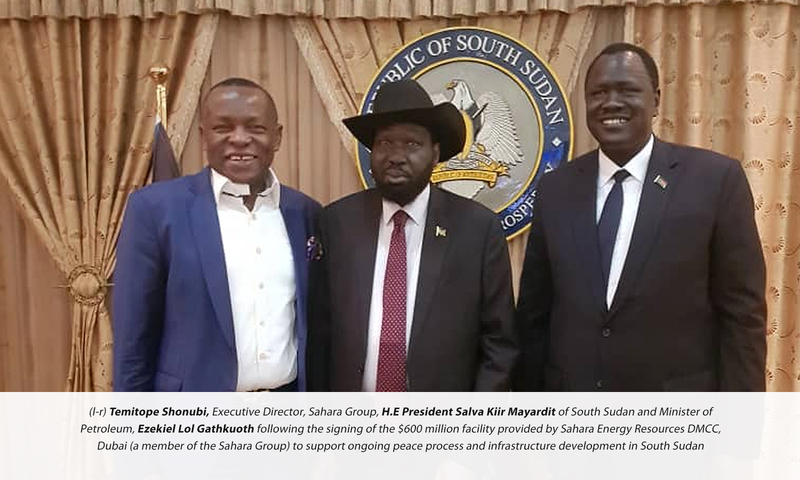 The $600 million facility provided by Sahara Energy DMCC, a member of the leading energy and infrastructure conglomerate, Sahara Group, is expected to support the peace process and facilitate sustained economic growth and development in South Sudan. “Sahara Group is passionate about spearheading sustainable development in Africa and remains unwavering in its resolve to support peace and trade integration on the continent to promote shared prosperity, “said Temitope Shonubi, Executive Director, Sahara Group in a meeting with President Kiir in South Sudan. The World Bank reports that South Sudan is the most oil-dependent country in the world, with oil accounting for almost the totality of exports, and around 60% of its gross domestic product (GDP). The cost required to help 6 million South Sudanese – half of its population – cope with the effects of the country’s economic situation was put at $1.7 billion in 2018, according to the United Nations. The huge funding challenge of transforming South Sudan makes the Sahara Energy facility and continuing global support inevitable. In line with the governance requirement and need to preserve the integrity of South Sudan’s oil resources, the facility provided by Sahara Energy will be managed by the nation’s Central Bank under the watch of a United Nations led committee. Shonubi had during the 2019 African Refiners Association (ARA) meeting in Cape Town reiterated the urgent need for intra-regional trade in Africa and the commitment of Sahara Group to promote the cause. He told delegates at the meeting that Sahara Group, in keeping with its vision of a harmonized Africa, was building an integrated energy business across Africa to harness the potential of intra-regional trade. “We are delighted to be one of the first African companies to carry out full cycle crude and product trade transactions using only African resources within the continent. All transactions were carried out by Africans for Africans using African resources. The future of our business depends on how well we can work together across Africa,” Shonubi told the gathering of the continent’s leading energy sector players. Working through the Sahara Foundation, Sahara Group has since renovated and upgraded the University of Juba Computer Center in South Sudan with brand new computers, central UPS and server, air conditioners, roof mounted projector and furniture. The facility will boost ICT penetration within and outside the university community and ultimately inspire the emergence of more “techpreneurs” in South Sudan. Sahara Foundation has also provided farm equipment to cooperatives in a bid to boost crop production and self-sustainability in the region.